Enjoying the warmth of your fireplace is one of the true pleasures of the cooler months. In order to cozy up in comfort, it’s important to clean your fireplace and take a few precautions. So before lighting that first fire read through our fireplace safety tips! Some fireplaces are not intended for actual fires but are simply meant to be decorative. Never start a fire in a fireplace that has been altered in order to prevent it from being used. Check the linings, and make sure that the smoke ducts, chimney, and the vents are clean and clear. Hire a certified chimney inspector to check your fireplace and chimney for any problems. A home maintenance inspection also covers components like insulation, ventilation, and your heating system, making fall a great time to schedule your inspection! Do not use your fireplace instead of your furnace, and never leave a fire burning for longer than 5 hours. Be sure to use a fire screen. Open the glass door, which allows air to flow up and cool down your chimney, but close the screen in order to keep sparks from escaping. You should never let children near fire tools, even when adults are close by, and of course, you should never leave a burning fire unattended when kids are near. Ensure proper ventilation by opening the damper and a window, at least by a few inches. Light a match and blow it out to check whether the smoke is going up the chimney as it should be. When selecting a rug to place in front of your fireplace, choose one that’s non-flammable or heat resistant with a non-flammable backing. A chimney blocked by debris or animal nests can cause deadly carbon monoxide gas to build up in your house. Use a chimney cap to help prevent this from happening. Stains on your fireplace’s glass doors can be difficult to remove. After the doors have cooled, use a razor blade to remove any tough or gooey residue. Mix dishwashing detergent liquid with warm water and apply it to the glass via sponge or spray bottle. Wipe the glass down with wadded up newspaper, which won’t leave behind any lint. Did you know that it can take up to 3 days before fireplace coals cool down enough to no longer be a fire threat? Once 3 days have passed, close the damper, don a dust mask, open a window, and shovel ashes into a container made of metal. Do not vacuum up ashes. Hire a professional to clean your chimney once a year. 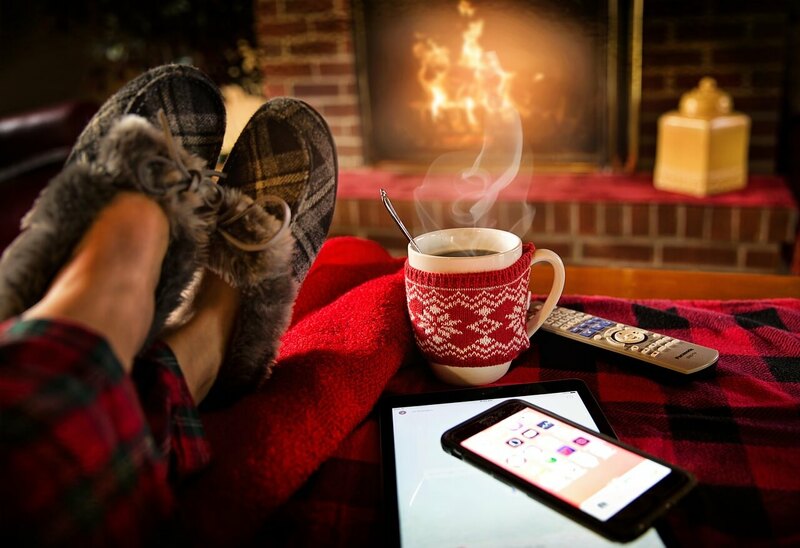 If you follow our fireplace safety tips, you’ll know your family is warm, safe, and comfortable indoors on the coldest of days! PRIME Home Inspections is certified by InterNACHI to inspect chimneys and serves Western Washington state with complete home inspection services. Contact us today if you’re in Yelm, Olympia, Tacoma, Centralia or the surrounding areas!